There is a saying that bacon makes everything better. I say, so does booze! You can thank Nigella Lawson as the inspiration behind this bread. 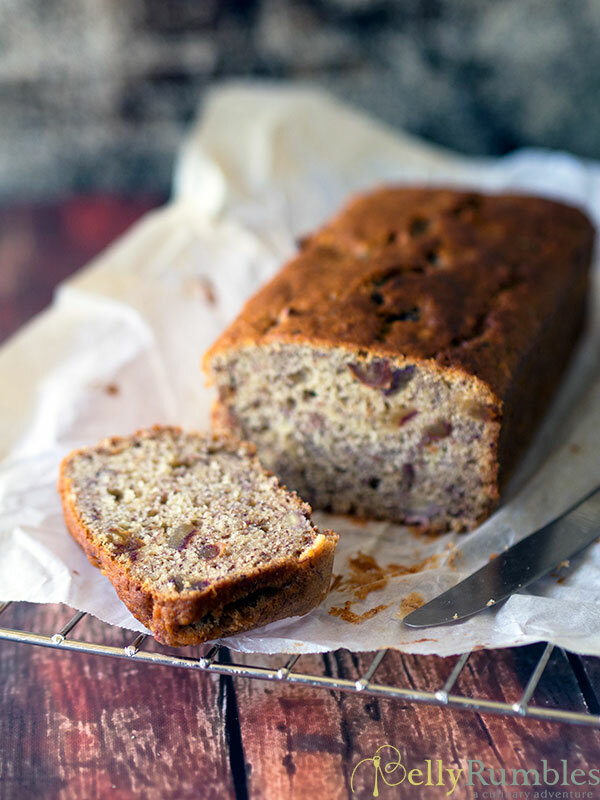 It is based on her banana bread recipe that appears in ‘How to be a Domestic Goddess’. 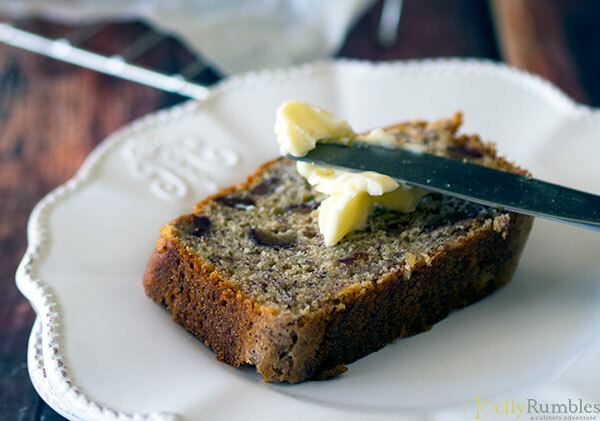 That particular banana bread recipe is one that is made regularly in my kitchen. It is also a fantastic base, which you can tweak and add as you wish. No matter what I seem to do to the original recipe the bread still works out. As I added more booze, dark spiced rum, and fruit than her original recipe. Plus I omitted the walnuts, there was a tweak in flour quantity. In all, the bread turned out perfectly, although a little lighter in density than the original recipe. Best enjoyed thickly sliced and slathered in good quality butter. Preheat oven 180 deg C (360 deg F). Line and grease an 11cm x 22cm bread tin. In a small saucepan place dates and rum. Bring to a slow simmer and continue to cook until most of the dates have absorbed most of the rum. It will resemble a boozy date jam. Set aside to cool. In a large bowl place butter and microwave until melted. Remove from microwave and add sugar beat until blended. Beat in eggs one at a time and then add mashed bananas and date mixture. Sift in flour baking powder, bicarb and salt. Mix until combined. Pour mix into your bread tin and bake for around 60 minutes until cooked through. Cool on a wire rack. Serve thickly cut slathered with butter. 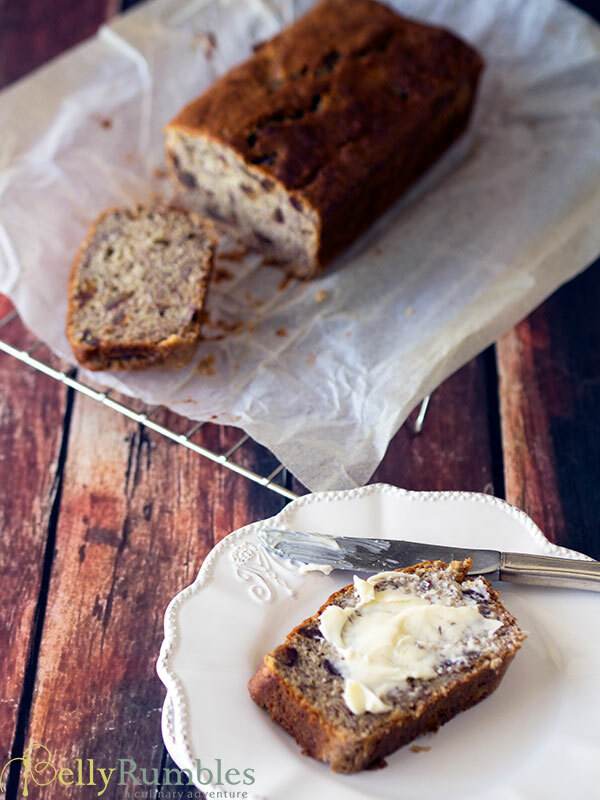 Do you have a favourite banana bread recipe? Would love you to share it below if you do. So that’s what’s been missing from my banana bread all this time! Add me to the “convincing list”! 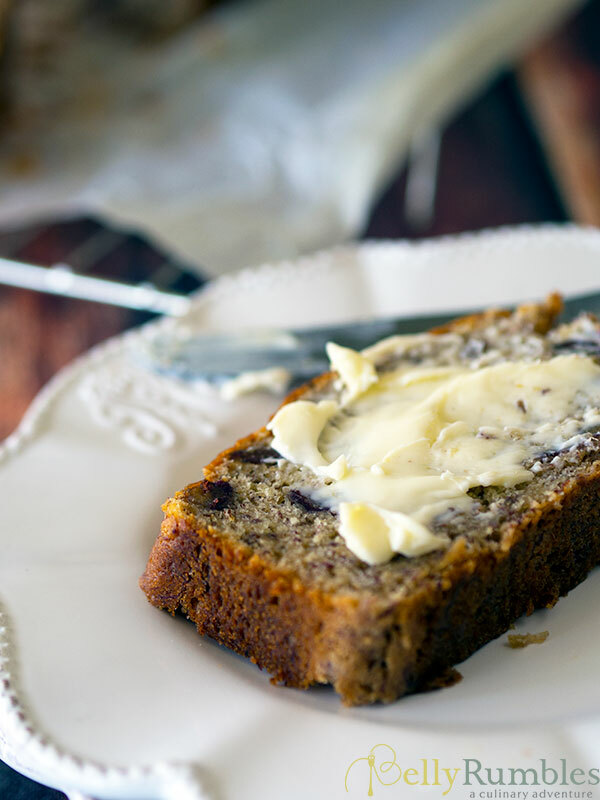 Love the banana bread with dark rum! Could use it at a uni party! If making for a uni party, I suggest ADD MORE BOOZE!!! 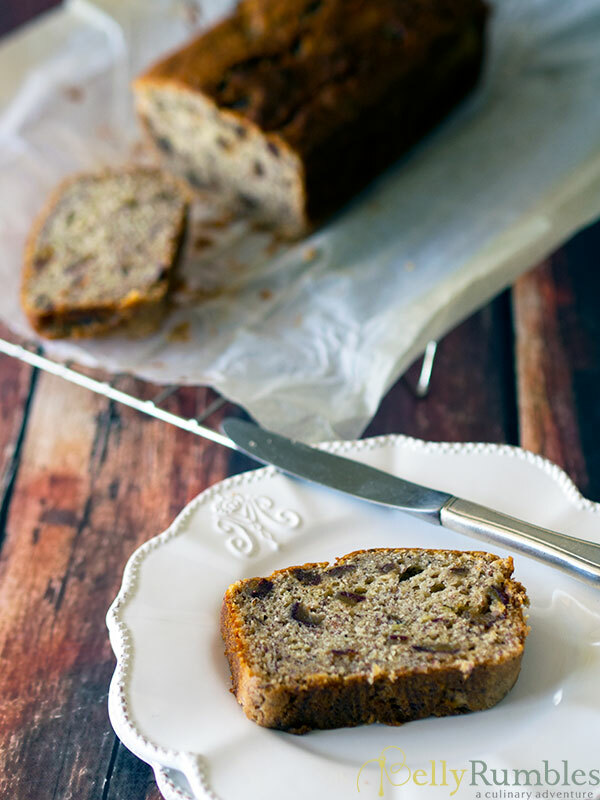 Boozy and “datey” banana bread works for me! it gives the usual taste a twist. Great recipe, Sara! Thanks so much, the ‘datey’ gave it a caramel effect. Worked well with the rum. Well, you definitely don’t have to convince me to put alcohol in desserts!! Love it. Don’t I know it, you have some amazing ones on Chew Town. Booze makes everything better, for sure. I’m a firm believer! Nice to know I am preaching to the converted.